Police said knife-wielding man stabbed three people, one fatally, in Australia's second-largest city on Friday in an attack police linked to terrorism. 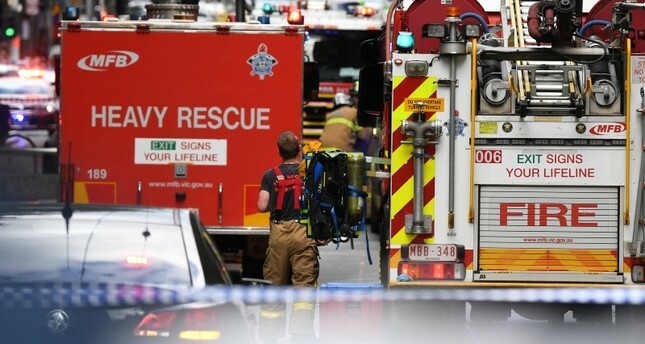 The unnamed man, identified as a Somali immigrant, drove a 4X4 truck loaded with gas bottles into the bustling city center of Melbourne, ignited the vehicle in a ball of flames and then attacked passers-by with a knife, police said. Daesh later said one of its fighters carried out the knife attack, the group's Amaq news website said. It provided no evidence for the claim. The attack occurred on the eve of a busy weekend in the city, with a major horse race scheduled for Saturday and a national league soccer match the following day. Sunday is also Remembrance Day, when memorial ceremonies for World War I are held.